ZF Friedreichshafen AG posted record sales in 2017 and announced increases in research and development investments. The company had 36.4 billion euros in 2017 sales, nearly $45.2 billion, with increased earnings before interest and taxes of 2.3 billion euros ($2.85 billion) despite increases in R&D spending. When adjusted for exchange rate effects and M&A activities, ZF elicited organic growth of 6 percent. ZF will increase its research and development spending again and work even faster to produce technologies for the future of mobility, said CEO Wolf-Henning Scheider at the company’s annual press conference. Scheider, who has been ZF CEO since Feb. 1, added that he believes start-up culture could also be fostered by large companies. 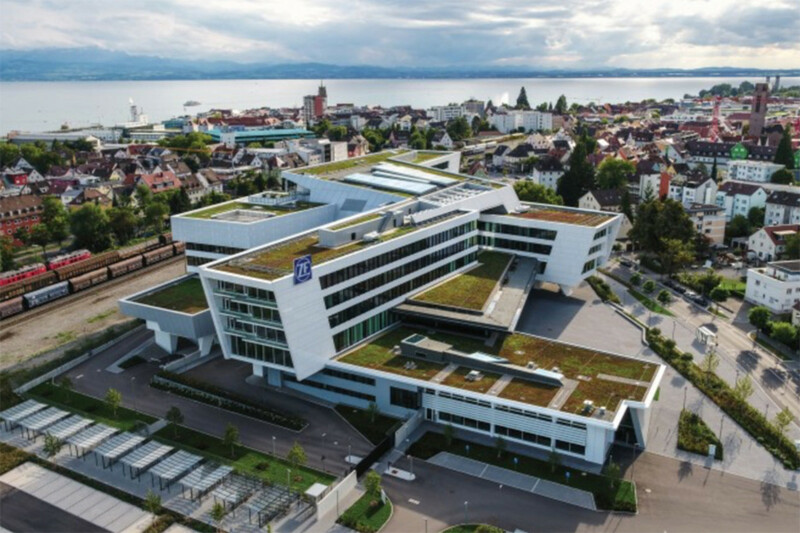 ZF Friedrichshafen AG headquarters in Germany. In 2017, ZF spent 2.2 billion euros ($2.7 billion) on research and development, an increase of almost 15 percent compared to 2016. This year, significantly more than two billion is set to be channeled into development work around the world, with the aim of advancing electric drives and the hybridization of transmission technology as well as vehicle safety systems and automated driving. This means that the share of the budget allocated to R&D will be raised from 6.1 percent to around 6.5 percent this year. Equally, ZF wishes to continue investing in property, plant and equipment, having spent 1.4 billion euros ($1.7 billion) in 2017. Two new plants for the production of electric drive components are planned, among other things.